When you have chosen the taxi you want to drive with, you start and the first thing that pops up is the explanation. It says ‘Pick up passanger from the green pointed parking point on the mapand drop them on the red pointed parking point. The time will start when you have picked the passanger up from the green parking point.’ The controls are simple, the is a steering wheel to steer the taxi left or right, a brake to obviously stop, and the accelorator for going faster. (It’s helpful when you are running out of time and you need to get to the destination ASAP!) There is also a damage bar- to see how much more damage the car can take until game over, a time- so you can know how much time you have left, and a speed meter- so you can know how fast you are going. You can also change the camera point of view to fit your needs. 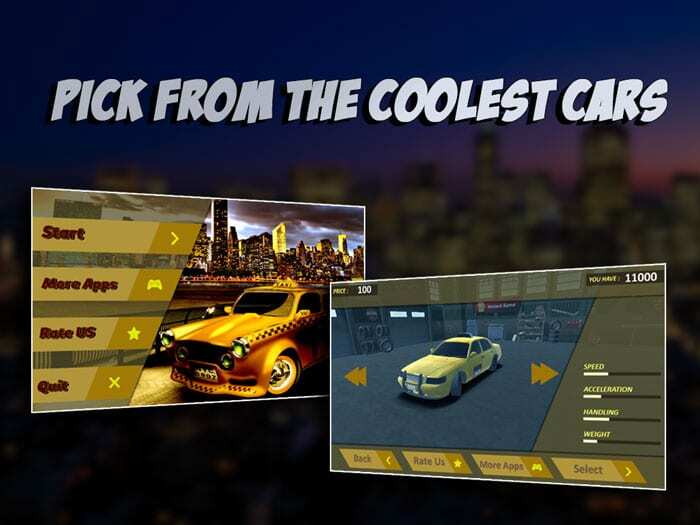 The game has really nice 3D graphics, the sound is also really nice and realistic (like the crashing and other drivers honking their horns.) 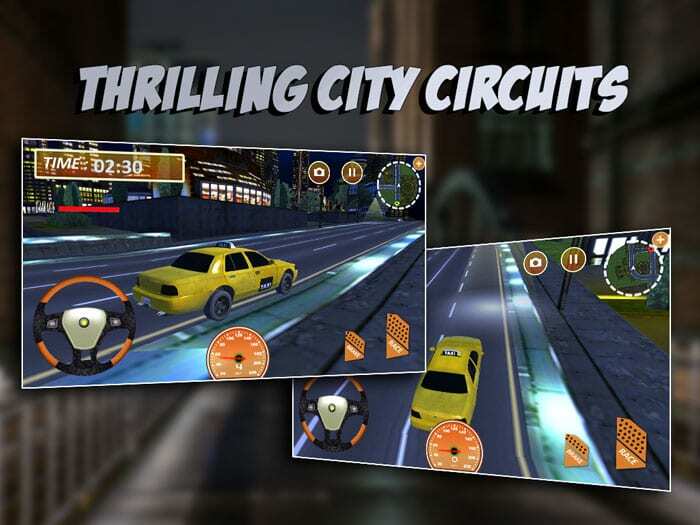 Taxi Simulator has been rated four point two out of five by forty four people. 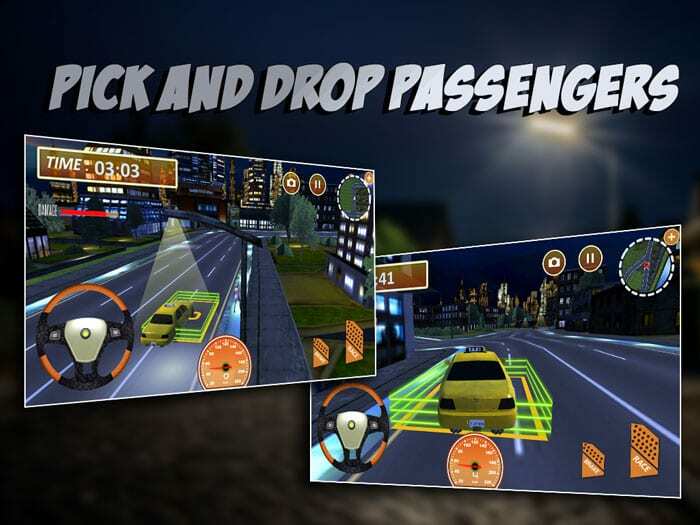 The developer, Binu Mulckal Babu, has currently made two other games- Train Simulator 3D and Truck Racing 3D. Next articleGear S3 Classic and Gear S3 Frontier Now Available for £50 off ! !